The 25 March holiday is considered a double celebration for Greeks around the world as it celebrates both the Annunciation and the start of the Greek War of Independence against the Ottoman Empire that ultimately lead to the country’s liberation and the birth of the Modern Greek state. The Greek holiday is celebrated by the diaspora with particular relish as a time to reconnect with our roots and each other while remembering our history as proud Greeks. This year’s celebrations are marred with dissent and disagreement over the Prespes Agreement that has put an end to the long-standing name dispute with Greece’s neighbouring country now known as North Macedonia. As a result, a number of Greek groups of the diaspora have lashed out against the Greek government and have stated that certain officials, such as Deputy Minister of State Terens Quick, should be considered as persona non grata here in Australia. Despite this, Mr Quick has already begun his planned visit to Australia from Perth and will be in Adelaide on Sunday night before heading to Melbourne on the third leg of his visit to attend the Nostos – Return to Roots Forum. Cypriot Presidential Commissioner Fotis Fotiou is also in Australia for the Nostos trilateral forum attended by representatives from Greece, Cyprus and Egypt. 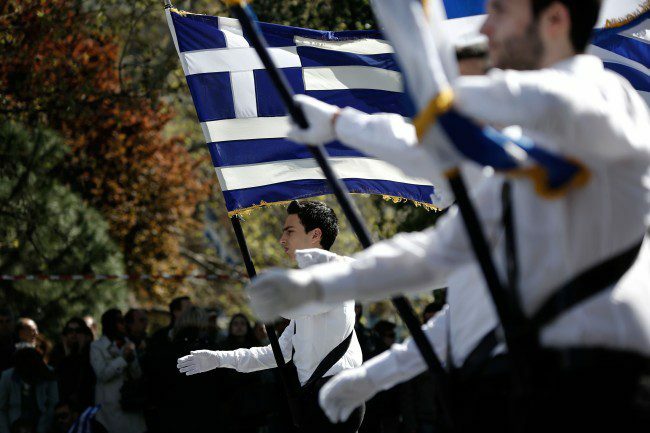 In Melbourne, the Deputy Minister George Varemenos will represent Greek Parliament at Sunday’s 24 March parade. The President of the Pan-Macedonian Association of Melbourne and Victoria, Andreas Ballis has openly challenged Bill Papastergiadis, the President of the Greek Orthodox Community of Melbourne and Victoria (GOCMV), to take a stance on the Macedonia name issue. A large part of the community believes that the 25 March celebration should cast the spotlight on Greece’s revolutionaries and heroes, however there are fears that it may be marred by modern political disputes.